Classical Education seems to be rising in popularity, but it isn’t the next new thing. It’s been around longer than any of the other theories I’ve studied so far – by thousands of years. What I didn’t know was that Classical Education was behind every other theory – either in enhancing the creator’s ideas for taking it to the next level (TJEd and Charlotte Mason) or in causing a reaction against it to create something new (Waldorf and Montessori). When was Classical Education created? The name classical education means more than just an education of enduring excellence. It carries more weight than to just provide a term of quality to the education. It is not the same as traditional, where traditional means education as we have always done it, or classrooms with desks in rows and standardized testing. How is the theory applied? Memoria Press, created by Cheryl Lowe and focuses heavily on learning Latin. Tapestry of Grace, by Lampstand Press, focuses on 3 big ideas: Unit Study, Whole-Family Learning, and Cyclical Education. Kolbe Academy, founded in 1980 by 3 catholic families with the focus on forming young Catholic citizens. Classical Conversations, focuses on 3 keys: classical, Christian, Community with the goal of bringing parents and students together in a co-op setting. Classical Conversations is well known for their timeline song, and a majority of the grammar stage is set to music for learning basic facts. Susan Wise Bauer’s The Well-Trained Mind, not a curriculum but rather a guide for how to get started with home education using the classical pattern. CiRCE Institute, “Consulting and Integrated Resources in Classical Education” offers classes, consulting, resources, and more for those interested in learning more about Classical Education. Why choose not to use this theory? Comparing and contrasting Classical Education to the other theories defined so far – the main difference is the focus on the way the mind guides learning in Classical Education. It isn’t a measure of behavior or development (Waldorf), it isn’t based on interests (Unschooling or Interest-Led), and it doesn’t wait for the love of learning to transform the student’s efforts (TJEd). The stage within Classical Education that is cause for the greatest debate is the grammar stage. Within the homeschool philosophy, many people understand that there needs to be a great influence on individuality in learning – even the encompassing of many different theories into one homeschool practice – the fundamental issues of debate for or against Classical Education are the emphasis on memorization and the use of latin. But I believe it is possible – and is even being achieved in homes across the world – to bring the Classical and the Progressive to a compromise. Find all of Susan Wise Bauer’s books here. Listen to the podcast by Tsh of The Art of Simple with Susan Wise Bauer. If you are purely interested in only what she has to say about education start listening at the 45 minute mark. She answers questions about preschool, special needs, and gap years. It is a very interesting conversation. If you have been or are Classically Educated, please let me know! What other resources would you recommend to someone interested in Classical Education? 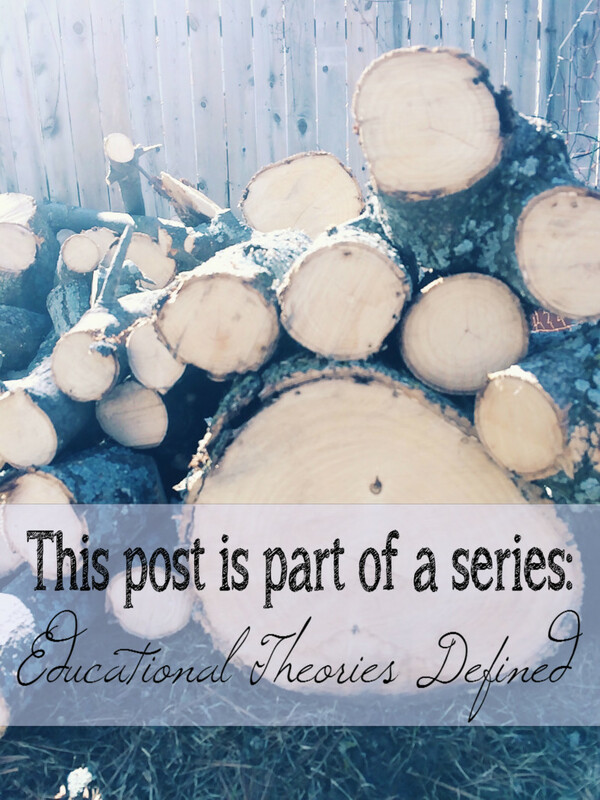 This is theory #5 in the series on Educational Theories Defined. To see the index, click here. Affiliate links have been used in this post. As an Amazon associate and a GHC affiliate, when a purchase is made through these links - they do not increase the cost for you - the companies compensate me for the referral. Win-win.